IndyCar: off the market for now, who signs Newgarden for 2017? News that Josef Newgarden will be retained at CFH Racing for 2016 put a wet blanket on the IndyCar silly season. But as MotorSportNotes explains, who he drives for in 2017 is far more interesting. Penske has never been a team to miss out on capturing young talent just as it blossoms in to race winning form. But signing Newgarden is unlikely despite there being potentially two gaps in the super team by 2017. Juan Montoya and Helio Castroneves are there or thereabouts in terms of retirement with question marks over Montoya’s desire to stick around much longer after his title disaster this season. 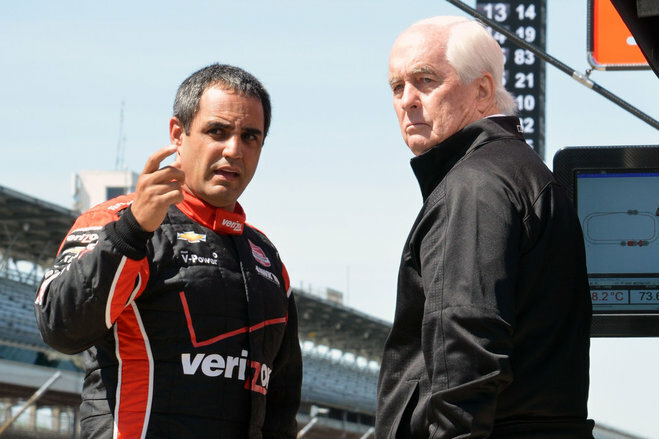 Helio is determined to score that fourth Indy 500 win and is likely to stick around for a couple of seasons and Will Power has more time as long as he can keep his head together and doesn’t continue to fall out with series officials. A place at Penske for Newgarden therefore hinges on Montoya’s retirement or Simon Pagenaud. In the modern era any driver running the Penske Truck Rental livery is like a giant neon sign flashing ‘no sponsors’. Both Penske and Tim Cindric like Pagenaud and see him as champion material but that will not be enough if the cash is not coming in and he is not delivering. Penske has never been a team to favor nationality over talent. However until the IndyCar series grows enough to be a series manufacturers have to be involved in, Penske like Ganassi will need to keep Chevrolet happy and consequently come under pressure from to run American talent. This is the outsider but chatter in the paddock suggests there is some mileage in it. Honda has been smarter in getting their brand aligned with potential American winners. Unfortunately it took Andretti Autosport until late season to get their act together and no one really expected Graham Rahal and the RLL Racing team to figure in the way they eventually did. Honda like Chevy have to win the 500 next year and preferably with an American. Thus rumors still swirl around that Honda is romancing Newgarden with a view to getting him in to one of their cars. How that shakes out is intriguing. Hot off the back of this season it’s been suggested Honda would like to pair Newgarden with Rahal at RLL in an ‘all-American’ team. The prospect is a marketing man’s dream but let’s keep in mind that RLL and Rahal were perennial under performers as a two car team and would Newgarden want to run in the team owned by his team-mate’s father – unlikely. 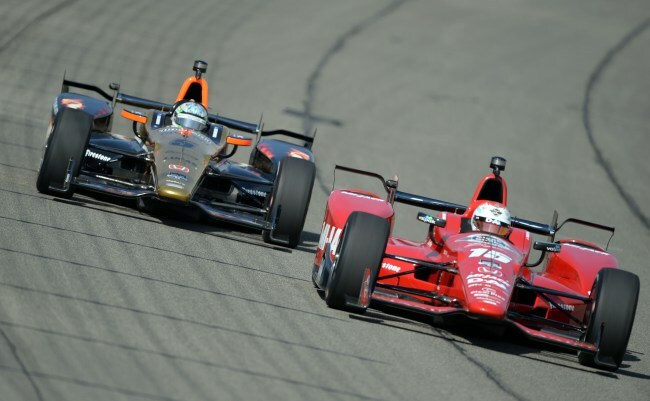 Could Newgarden run alongside Graham Rahal in Honda’s all-American dream team? Andretti would be the more realistic option in this scenario as they will sadly have space in 2016. With the passing of Justin Wilson there is at least one seat provisionally available. The ride for Carlos Munoz has always been peppered with lots of small sponsors and a liberal sprinkling of Andretti associated brands which speaks volumes about the financial realities of his ride. More intriguing is the possibility of Newgarden replacing Marco Andretti. Yet another season has passed with no real sign that the third generation Andretti will deliver on his rookie promise. Honda’s engine and aero combination looked to be firmly second-best in the first half of the season until Ryan Hunter-Reay proved otherwise. We’ve long said that Marco needs to move on and get out of the coziness of the family team. Whether he makes way for Newgarden remains to be seen but in many respects it could be the best move for both drivers. The favorites to sign Newgarden are of course Chip Ganassi Racing. Newgarden is likely to be the replacement for Tony Kanaan. 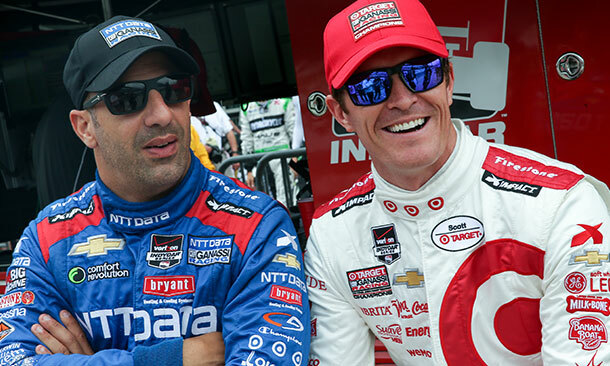 Scott Dixon is at Ganassi until he retires and Chip will not dump Sage Karam just yet after the rookie did just about enough to convince. Charlie Kimball is assured a place as long as his Novo Nordisk backing continues so IndyCar’s very own ‘ironman’ will get one more season to contest the 100th Indianapolis 500 before retiring. Previous Post F1: if Red Bull and Pirelli leave F1, what do they do next?